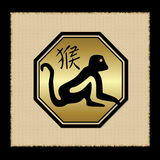 People born under the Leo Water Monkey sign are generous as they are not hesitant to give more than others. Leos have a strong sense of loyalty so don’t worry about them stabbing you in the back, in fact, they will probably save you from it. LWM’s are very flexible like water, they flow with the current. No matter if there are drastic changes in their lives, they will just flow along while everyone is fighting the current. Similar to a peaceful lake, the LWM is a still being and can be very calm even when a storm is present. Last but not least, Leo Water Monkeys are quick-witted. They are usually the first ones to think of an answer to a problem. The monkey is also persuasive. If they have their eyes on something that they want, they will know how to use words and actions to obtain it. 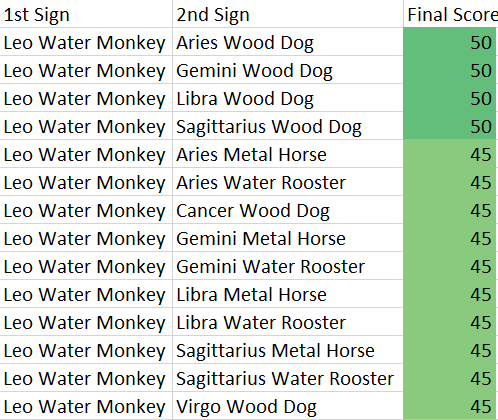 On the other hand, the Leo Water Monkey sign has a tendency to dominate people. They may ignore other people’s feelings and force their way through to achieve what they desire. Their arrogance will make them think highly of themselves which can sometimes hurt others around them. The LWM’s can be lazy and are less likely to be proactive. Sometimes, they will sit on their thumbs until someone else pushes them to do something. Because of their laziness, one can see why they are passive as well. If there’s a conflict around them, don’t expect the LWM people to get involved. Worst of all, the Leo Water Monkeys can be egotistical. They are selfish creatures which they will push other people aside to make sure they are the center of attention. The Leo Water Monkeys are known to be disrespectful which they will use any method to obtain their own needs and desires without caring for other people.